The Mercedes Sprinter limo is all about understated elegance. This is the vehicle you use when you want to travel discretely yet wrapped in a luxuriously appointed cocoon of privacy. 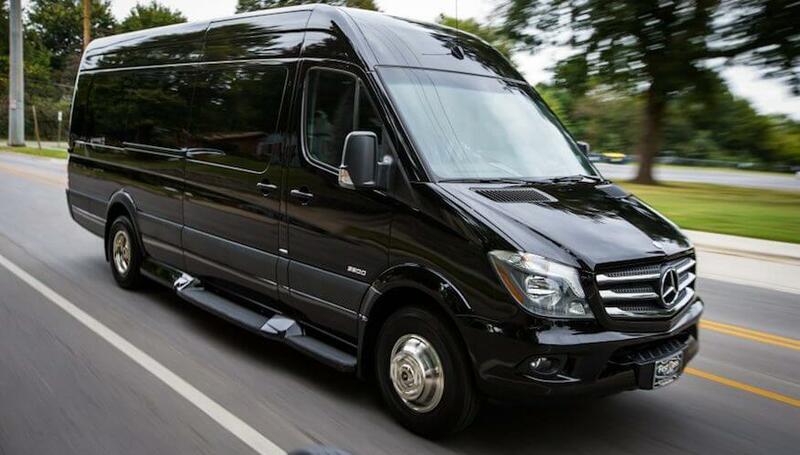 The versatility of Sprinter limousine makes it suitable for any type of passenger configuration ranging from discerning solo travelers to couples and larger parties. At Elegance Transportation, this limousine is undoubtedly one of our favorite. To begin with, you have surprisingly large headroom for a vehicle in this class. It’s also very easy to get in and out of because of its massive sliding door. And once you’re settled in, it’s as comfortable as sitting in your living room. It comes with all the standard luxury features such as minibar, large display screen, leather upholstery and mood lighting. Not sure which vehicle is best for you? Call us at 1-(800) 680-6353 and we’ll help you select a car, SUV or limousine to fit your budget and needs.